Media reports Tuesday night indicated the National Hockey league Players Association will re-name the Lester B. Pearson Award to honor former Red Wing legend Ted Lindsay. Canadians will know that Pearson, the former Prime Minister of Canada, was a respected politician (a phrase we rarely hear these days) and a Nobel Prize recipient. 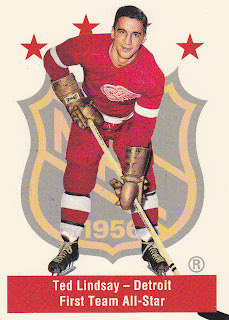 The NHLPA honored Pearson annually beginning in 1971 by giving an award in his name to the top player in the league, as voted by fellow NHL players. Now that honor shifts to Lindsay. I’ve written about my fondness for the long-time Red Wing winger in the past. He was an absolute buzz-saw on the ice. He was actually a small guy but absolutely fearless. 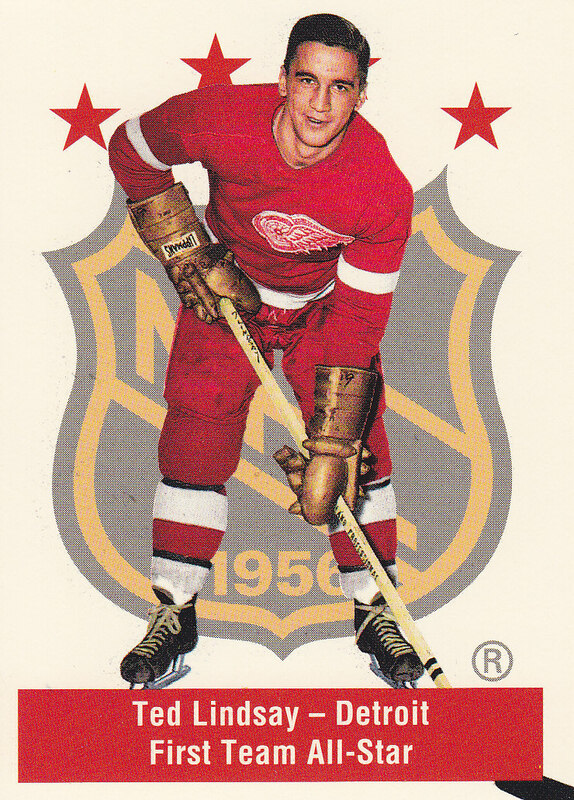 I saw him on TV as a kid in the late 1950s with Chicago, and more when he made a remarkable comeback with his beloved Wings for the 1964-’65 season at the age of 39—after four full seasons away from the game. He scored fourteen goals in a stunningly successful comeback and three more in seven playoff games before retiring again. His battles with NHL rivals—most notably Rocket Richard, Dickie Moore and other Montreal Canadiens- still resonate today for anyone who ever saw or heard about those heated match-ups. But the reason the re-naming of this particular Players Association award makes so much sense is that Lindsay was the guy who, along with Montreal great Doug Harvey (a hated rival on the ice) tried to establish a “players association” to provide the players of his day with some basic rights. The players back then were treated abysmally. They could be shipped off to the minors at will, were constantly on one-year contracts and were generally paid quite poorly. The powerful owners quashed the efforts to establish an association, even though it was not a confrontational approach initiated by the few players who dared try to organize and speak out. Most of those players who did—Lindsey, Harvey, Jimmy Thompson in Toronto—were eventually traded for their efforts, some sooner than others. Lindsay has worked diligently to promote the game his entire life, and this award is a tribute to one of hockey’s toughest—and finest—men.